Some of you may not need the following explanation and are looking for the free downloads. Feel free to scroll down to the bottom to find them. Semantic and/or vocabulary knowledge is the building block for communication. It provides the meaning for what we say. Meaning can be conveyed in forms other than speech such as in sign language, pictures, and the written form. Surprisingly there can be speech without communication. For example words can be said in imitation and not used meaningfully. A parrot cane be a good example of this. The words it says may not serve a purpose for the bird although we may understand what it says. We may find the opposite holds true as well. A child who can not speak verbally may have good receptive vocabulary although he can not convey his thoughts in the spoken word. 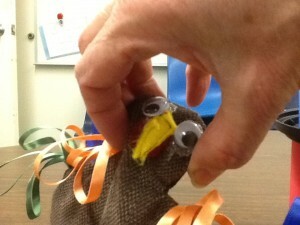 When working with vocabulary we need to consider a child’s skill development in receptive as well as expressive forms. If one is less developed it does not mean both are. In the school setting, vocabulary development can be a big indicator of academic success. Students may miss large portions of education because of not understanding the words used in the classroom. They may not understand directions to complete assignments. They will miss the content that is presented or read. When they try to speak they may have trouble finding the right words ands use nonspecific words such as thing and stuff. When they write down their thoughts they do not have the words to form a sentence. Vocabulary is taught best within the context of experiences that stimulate all the senses. Parents who build their child’s vocabulary through talking, reading, manipulating objects, and exposing them to variety of sensory experiences are giving them a head start toward school success. A child that has been denied experience can not make the connections as readily in school and may have difficulty with memory and recalling information. School work becomes difficult. Vocabulary is often taught within the framework of a theme or activity. 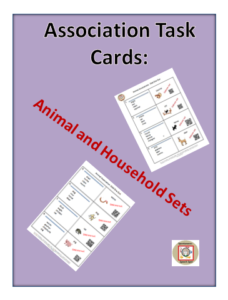 If your student has goals or objectives to improve receptive or expressive vocabulary the following cards are examples of what vocabulary might be used. 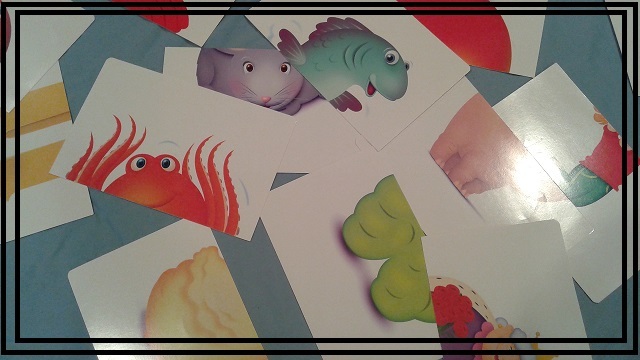 The cards can be downloaded, printed on cardstock, and then cut apart. They can be used to introduce or review vocabulary while playing a board game or whatever activity you find motivational. Word Association Cards: 4 words are given. Tell why 3 go together and the 4th one doesn’t. I have updated these and added QRC codes to make them self checking. You can try a free trial here. The whole set is available at Teachers Pay Teachers. Silly Sentences: There are Semantic errors in the sentences. A student reads the sentence, corrects the error, and tells why the original sentence did not work. Concept or Directional Vocabulary: These are game activities that can be used with small groups or a classroom divided up into table groups. They are meant for Kindergarten to 1st grade level students. Spider Web: this activity teaches the concepts above, below, over, together, left, right, and some shapes. 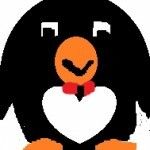 Musical Penguins: This activity teaches the positional vocabulary of before, after, 1st, last, middle, using the traditional children’s game. It is a good activity for classroom use. 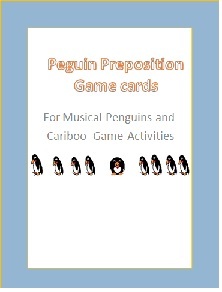 Penguin Preposition cards; 2inch by 2 inch cards that will fit into a Cariboo game. They are a free download on TPT. 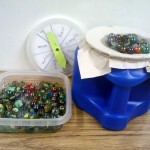 Skip and Pass: This is a dice game for classroom use. The concepts, every other one, skip one, left, and right are taught while playing the game. Stacking Blocks: this activity teaches left and right hands, tallest, shortest, beginning and end. this activity can be used in the classroom depending on the number of block sets you have. Don’t Fall Through the Ice: this activity teaches the concept words several, a couple, many, a few, heavy, light, dry and wet. Matching or Memory: This is a resource for memory cards. This activity teaches the concepts alike, match, the same, different, in a row, and not. 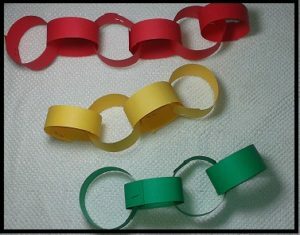 Question Chain: This activity teaches the concepts long, longer, longest, short, shorter, shortest, more, most, least, less, and answering yes and no questions. 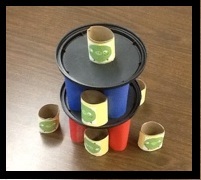 Bean Bag Toss: This is a classroom activity that teaches concepts such as between, close, near, far, medium size, large and small. Angry Turkeys: This is a bean bag toss game that can be used to teach prepositions. Directions and visuals are in a blog post. Click on the title and it will take you there. 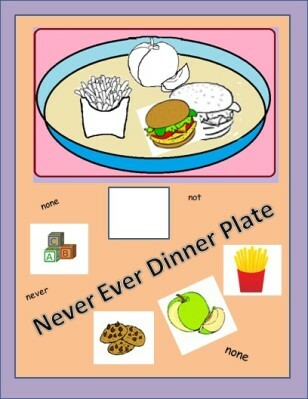 Never Ever Dinner Plates TPT Version: For those of you who don’t want to take the time to find all the pictures, There is a set already made on TPT. 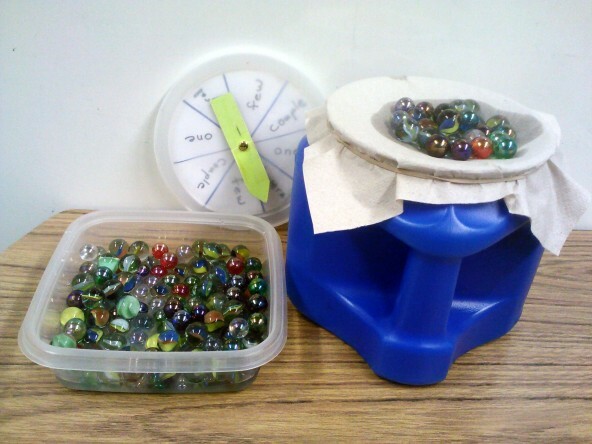 Play Clay: Another classroom activity that uses the flexibility of clay to introduce concepts such as long, short, whole, half, quarter, straight and curved. Hula Hoops and Jump Ropes: A class room activity that uses the concepts right, left, around, through, over, under, straight, forward, backward, sideways, and skip one. Tiddly Winks : This childhood game can be used to teach the concepts over, edge, closest, farthest, center, smallest and largest. Cars and Maps: This is part of my concept group games. It teaches the concepts across, through, over, corner, beginning, end, and descriptive language in a board game format. What Vehicle is it? Communication Board for asking questions. What Animal is it? Communication board for asking questions. Half/whole, top/bottom, and front back: When I posted about my concept group activities, number 12, in Dec 2009, I used alpha friend cards and cut them in half. There are also some free sets available on Teachers Pay Teachers. Jason’s Online Classroom has a nice set that would work. Password: This is a simplified version of the game that uses pictures for a non reader. It provides opportunity to compare and contrast items of the same category, name items of a category or label the category when given the items. Will It Fit in a Jar: This is the same card game that is in the Expressive section. It is similar to a card game called “In a Pickle” but has pictures for non readers. It promotes comparison vocabulary, word associations, and comprehending double word meanings. 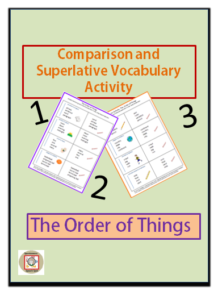 The Order of Things: This is for the older elementary or middle school students. The student is required to use comparison vocabulary when placing items of a list in order. Click on the lettering for the free black and white print only task cards and the free trial icon for a sample of 12 of the updated cards with pictures. The full version of 36 cards is at TPT if you click on the button below. BINGO and Lotto: a great way to learn vocabulary. Speaking of Speech is a good place to find already made thematic boards. The Mission: A card game to introduce exploration, new frontier, and science vocabulary from the 3rd and 4th grade curriculum. Antonym List (Excel) This list can be sorted and used for the bulletin board. It’s easier to keep track of the words that have already been used. 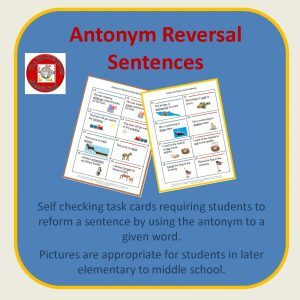 Antonym Reversal Sentences present antonyms within a context . Click on the green type for a free trial. Click on the button below to see the full deck at TPT. The Core State Standards put a strong emphasis on vocabulary words that occur frequently in academic text. These are often referred to as Tier II vocabulary. 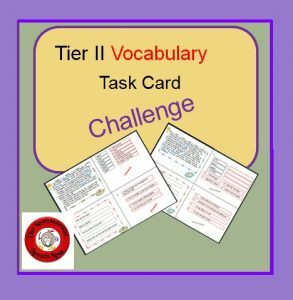 Understanding Tier II words can improve comprehension of text and have a bigger impact on a students academic performance when we concentrate on teaching them. Students come across these words when reading Science, Social Studies and English text. I would like to personally congratulate you as your blog In Spontaneous Speech has been selected by our panelist as one of the Top 75 Speech Therapy Blogs on the web.